Have you ever wanted to get involved, but been unsure how? Do you want to be a part of the Triangle’s growth? Learn how to get involved and why it’s important for leaders like you to volunteer your time and talent in our local communities. Did you know? The Triangle ranks 37th out of 51 similarly sized metros in volunteerism. With just 1 in 4 people in our community volunteering each year, area causes are missing out on the valuable time and talents of locals who can make a big impact on the issues they tackle, from poverty, to education, to the environment. Amber will talk about the tremendous need for volunteers faced by our community, ways businesses and professionals can empower those in their network to get involved, and what locals can do NOW to get started.The positive impact volunteerism makes not only in our communities but within ourselves; becoming part of the change that’s happening in the Triangle. 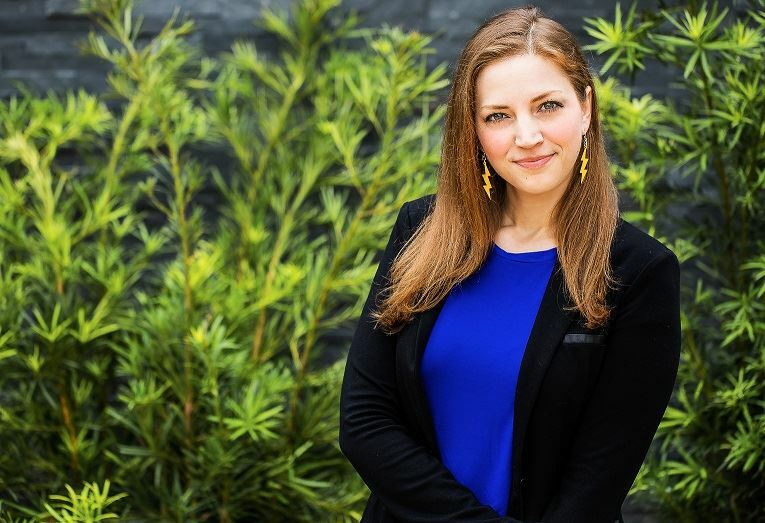 Amber Smith is the founder and Executive Director of Activate Good, a nonprofit with a mission to inspire locals to volunteer for causes around the Triangle. Amber launched Activate Good in 2005 following a two and a half month road trip around the country during which she and her best friend volunteered in over 20 states. Today, Activate Good has facilitated almost 50,000 volunteer connections to over 430 nonprofit partners and works to empower youth to become leaders and volunteers. A resident of Raleigh, Amber obtained a B.A. in Social Change Leadership and Masters in Public Administration and Nonprofit Management from NC State University. Amber was honored to receive the Independent Weekly’s Citizen Award in 2010 and recognition as one of the Triangle Business Journal’s 40 Under 40 in 2018 for her work with Activate Good. In addition to volunteering and nonprofits, Amber is passionate about singing, painting, writing, her trio of trouble-making cats, Bailey, Caleb, and Whiskers, and her new puppy, Kira!